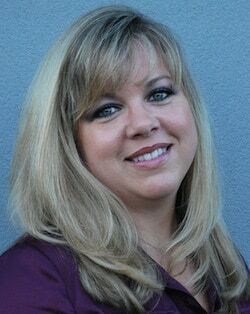 Danielle Taimuty, CEO and President of Medical Billing Solution Services, Inc. (MBSS), has a knack for building loyal relationships. This knack has helped her grow MBSS from a small consulting service run out of her home to a national business that benefits her clients and her community. Taimuty is originally from Pittsburgh and lives in her hometown of McMurray but the business is in now based in Canonsburg near Southpointe. Word of mouth, passed from one satisfied customer to the next, at first caused Taimuty some consternation. “When I initially took on this first client, I was immediately referred to another client and I was completely overwhelmed,” she recalled. But now the business thrives from the consistently positive client recommendations. MBSS started with small practices but now serves larger groups too. The largest practice, including 27 primary care physicians, is based in Chicago. MBSS also serves urgent care, podiatry, surgery, and physical therapy among other specialities. Taimuty originally hoped to be a physician herself but after a first-hand experience at Mercy Hospital, she took a different approach. Billing is the core of MBSS but it also offers electronic medial records, practice management, credentialing, helps providers with meaningful use and attestation. MBSS also provides support and training on all products and sends staff to practice locations. In addition, MBSS helps providers connect with attorneys and helps them determine realistic expectations of revenue. Taimuty could identify so many things from the insurance standpoint that providers weren’t billing where they could be. MBSS doesn’t always take over the billing for providers. But that situation doesn’t happen often. Taimuty felt governmental changes are the biggest challenges that providers face right now. Despite these obstacles, Taimuty sees a light at the end of the tunnel. Taimuty’s combined clinical and insurance background gave her the perfect foundation to begin MBSS but she gives most of the credit to her team. She explained that customer service and a respect of the family are two core values.